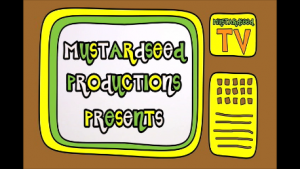 The Mustardseed TV initiative is an effort to continue our work of using drama and theatre techniques to tell local stories, showcase Caribbean cultural forms and investigate current affairs, while encouraging healthy social behaviors, reaching a much wider audience and touching the lives of more Barbadian and Caribbean children. We aim to shoot 7 pilot episodes (90 minutes of programming) from each of our classes. Each episode would represent some aspect of our work and our philosophy. The intention is to launch this production as part of our annual end-of-year event in July 2013. We plan to invite parents, investors, funders, broadcasters, government agencies and corporate representatives to attend our screening. Our ultimate goal is to improve the quality and relevance of children’s programming. We also want to give our students another medium to explore their creativity as well as a sense of pride and ownership for the content of the product. It is an exciting project, but we can’t do it without assistance from friends and supporters who see value in the work we do, potential in the project and hope in the eyes of the children. We would love your support in helping us to create a product which could change the lives of our young people. Support our project. At present the screenplays have been written, the children are rehearsing and the crew is in place. 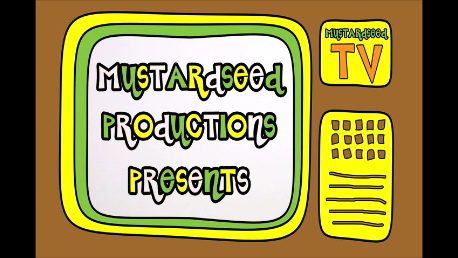 By supporting the Mustardseed TV project, you will help to make our dream of seeing this exciting project a reality. Your contribution will not only fulfill the immediate hopes and desires of these boys and girls and inspire young viewers everywhere, but it would also affect and enhance the quality of our process and final product. We want to raise $25,000 USD by the end of June, 2013. Every cent we make on this Campaign will go towards the project in some way, whether it be to pay for the in-kind services currently being offered by crew and technicians (musicians, camera crew, photographers, writers) or contribute to the quality of the post-production process (editing, animation, dvd’s), or help us with the practical cost of launching a screening (venue cost, licence fees etc.). A lack of local media programming translates to a void in the content seen by our children. Almost all online and television media consumed by our children is from overseas. Our young people are up to date with popular culture from abroad, but missing out on material that reflects their Caribbean cultural identities. While Mustardseed TV does not expect to compete with cable and satellite media, we hope to offer a choice to our young people. 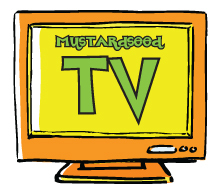 Through Mustardseed TV, we will create programming that speaks to our culture, our history and our identity. Our stories will allow our children and young people to see themselves, to hear their own voices, and to develop ideas from experiences and situations that are personally and culturally relevant. There are so many creative stories and ideas to be told and shared with children throughout Barbados and around the region. Folk tales, explorations of ‘ye auld tyme sayings’, Caribbean music, with children’s voices, child-driven reports investigating and discovering local personalities, places of interest and topical subject matter. We want our Caribbean children to be aware of who they are, where they are from and what it means to be from this part of the world. We can achieve this through showcasing our creativity and representing the unique cultural experiences we share on our beautiful island. One of the ways in which we see this project as particularly impactful in its potential is through skills training. Not only in relation to acting for camera or journalistic skills, but also with regards to the actual technical elements of film-making. Many of our students have expressed a keen interest in working behind the scenes with the camera and with the editing suite. This project will also provide an opportunity for the students to learn new things and build capacity that may realise into career choices for many of them. We appreciate that not everyone will be able to financially contribute to our project. That’s ok, you can also support us by spreading the word and sharing our Campaign with as many people as possible (using share buttons). We appreciate all the help we can get!